Before Ever After is a treasury of rare and unpublished lecture notes, photographs and drawings which Walt Disney himself created to raise the level of his artists in preparation for their first feature: Snow White. He hand-picked instructors from the renowned Chouinard Art Institute to hold classes on action and drawing. He screened films for study. He brought in talent from Architect Frank Lloyd Wright to choreographer George Balanchine to humorist Alexander Woollcott to teach and inspire his team. 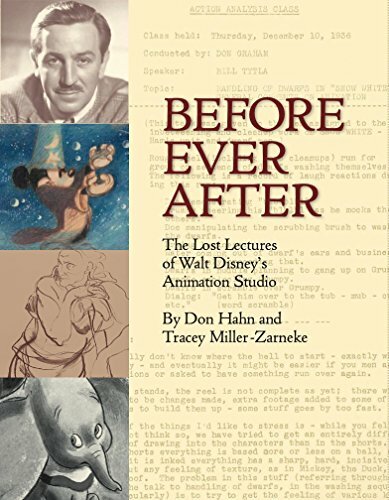 The result is a stunning collection of transcripts and lecture notes which not only form the artistic foundation for the animated art form, but also give us an intimate look inside the walls of Walt Disney's studio during a seminal and profoundly creative moment in time.